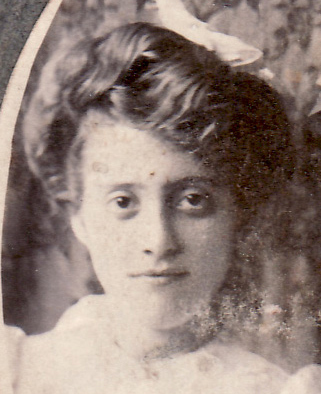 Mystery photo – are these Day family women? I love old pictures, and love to solve the mysteries associated with them. Who are the subjects? When was the photo taken? It doesn’t even have to be my own relatives in the picture – the challenge is just is fun. However, the reward of solving the mystery is greater when it is my own family, and it makes the individuals I’m researching come alive. Cormany photo studio, where the photo was taken, operated in Duluth, Minnesota from 1887 to 1888. The studio apparently moved locations in 1889, and continued 307 West Superior in Duluth through 1890. 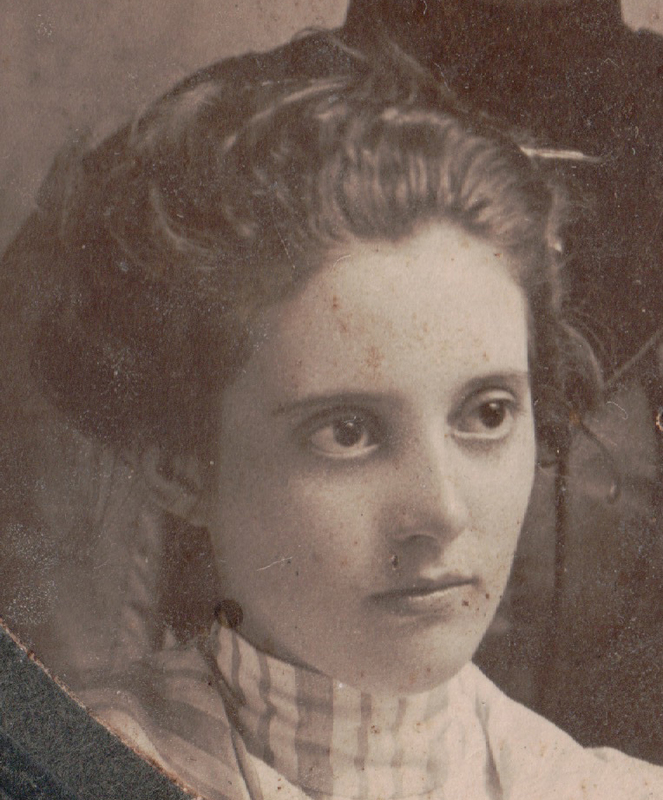 In the 1880s and 1890s, Cormany Studio had photographers in Princeton, Minnesota. Based on the clothing and hairstyles, a date of about 1900 to 1905 seems appropriate for this photo. 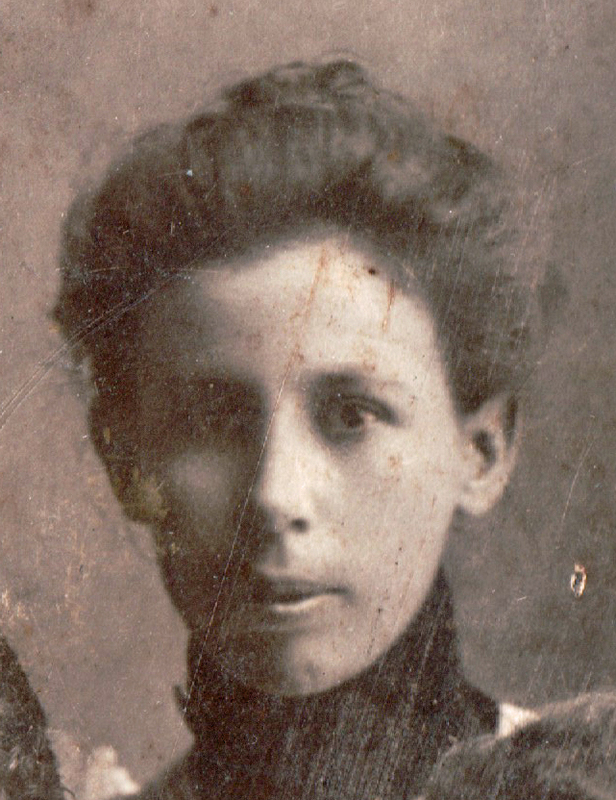 The left appears to be Susan Stanwood, who would have been 15 in 1900. 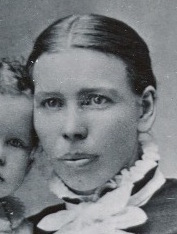 Sarah (Day) Hughes, born in 1851, was far too old to be the subject in our photo. However, she bears a striking resemblance to the woman in the upper right and was clearly a relative. 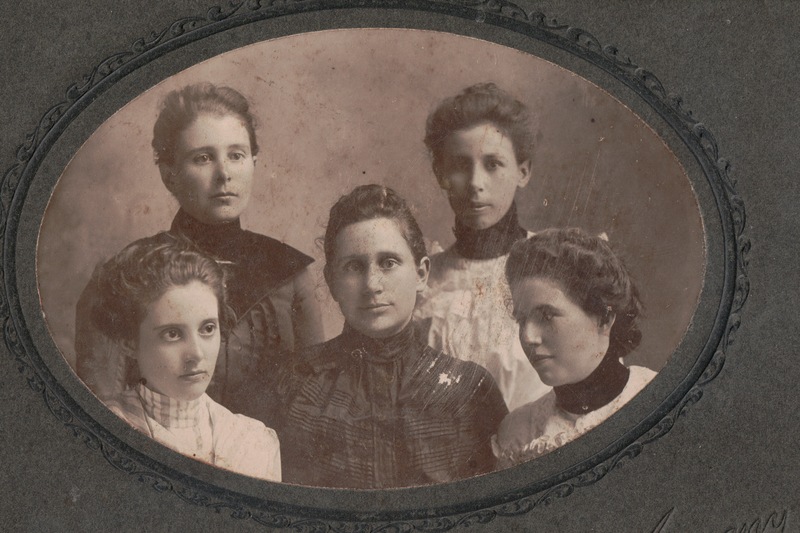 Sarah’s family resided in Plymouth, Minnesota in 1900; Susan lived in Northfield, but often visited her older sister Georgiana (Stanwood) Cravens in Princeton, so it is likely that Susan posed for this photograph at Cormany studio with her relatives. If you can help solve my photo mystery, please drop me a line below! This entry was posted on Sunday, November 2nd, 2014 at 7:10 PM	and posted in My Family Lines, Pictures, Stanwood. You can follow any responses to this entry through the RSS 2.0 feed.